The Russian Foreign Ministry’s spokesperson Maria Zakharova has criticized the UK’s decision to block all British bank accounts belonging to Russia's state-owned English-language TV channel RT. "It looks like when London left the EU, it abandoned all of its commitments to freedom of speech in Europe. As they say, a new life without bad habits," Zakharova wrote on her Facebook page. The authorities responsible have apparently not given any reasons for doing so. 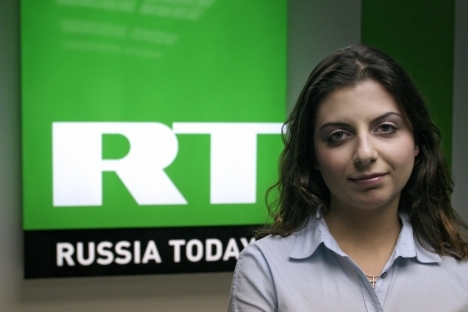 RT has been broadacsting 24-hour news in English from Moscow as an offshoot of the RIA Novosti news agency since 2005. Simonyan has been Editor-in-Chief since its very beginning.